At this time of year the autumn leaves are in their glorious best. A great number of our deciduous trees and a number of coniferous tress change from their fresh summer greens to a spectacular range of yellows, oranges, browns and red. It often is the reds that take our breath away. The change in colour is driven by the reduction in chlorophyll which gives the leaf its green colour. The carotenoids which are orange/yellow pigments then become visible. However the reds and purples are caused by the presence of another pigment called anthocyanin. Very simply these are produced by the plant as a build up of glucose is present in the leaf interacting with sunlight. It has been described as the plants sun block. So the stronger the late summer and autumn sunlight, the greater the vibrancy will be. It is interesting that in the UK around 10% of the deciduous trees will have a significant presence of anthocyanins where in parts of the US this can be as high as 70%. Explaining the amazing New England autumns. 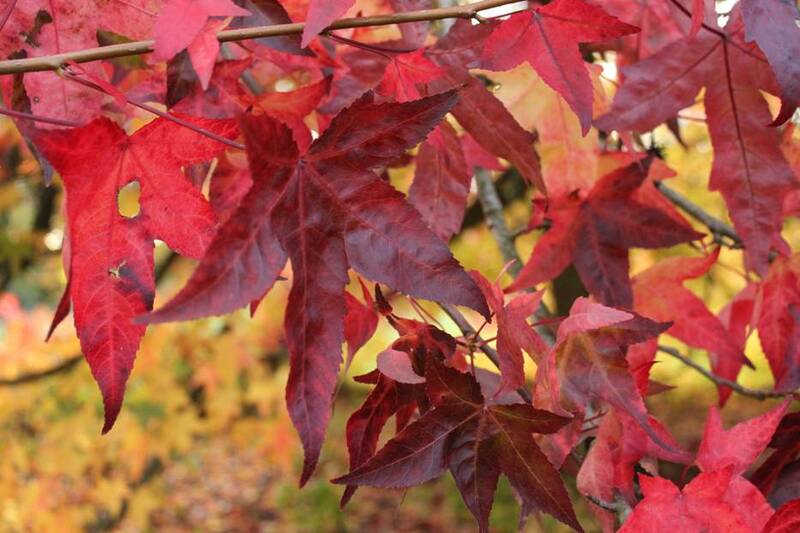 One of the most spectacular trees at this time is the Liquidamber or Sweet Gum. 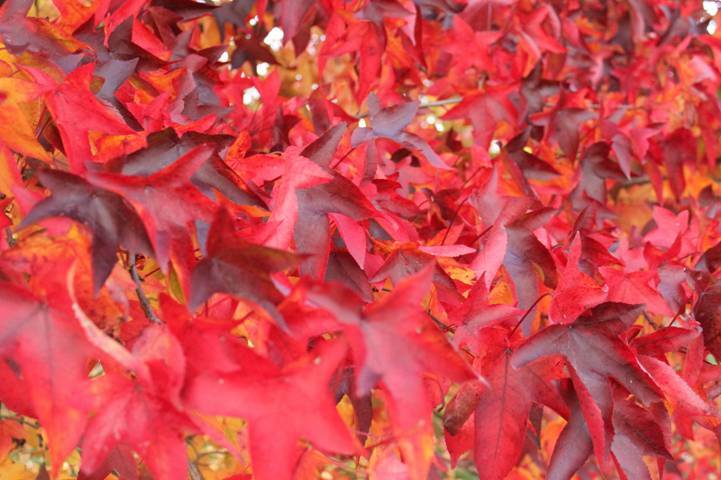 This is such a stylish tree and creates a vast array of colours during autumn but the reds are the most impressive. 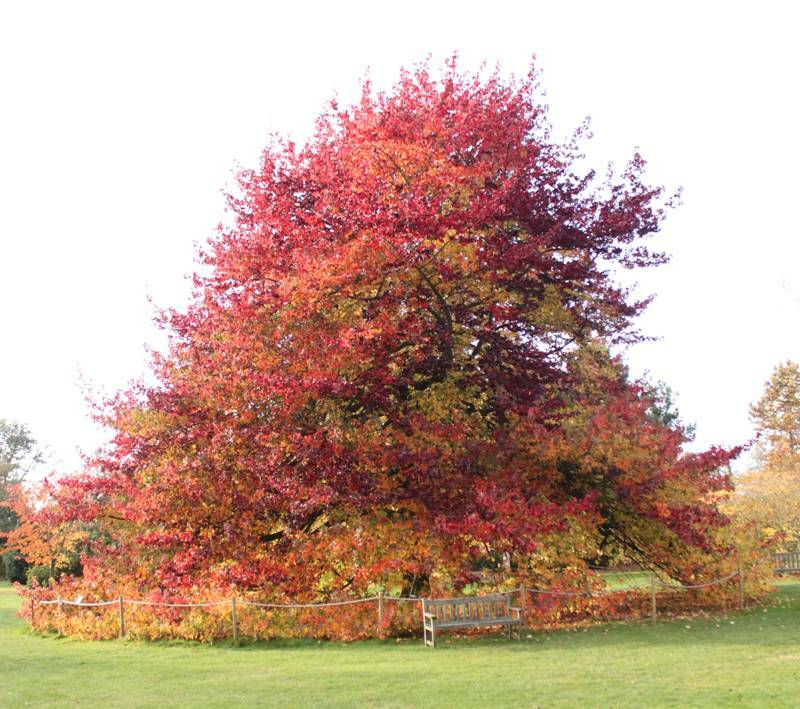 If having a Liquidamber in your garden is a little daunting, there are other plants that show as great a show as they do. 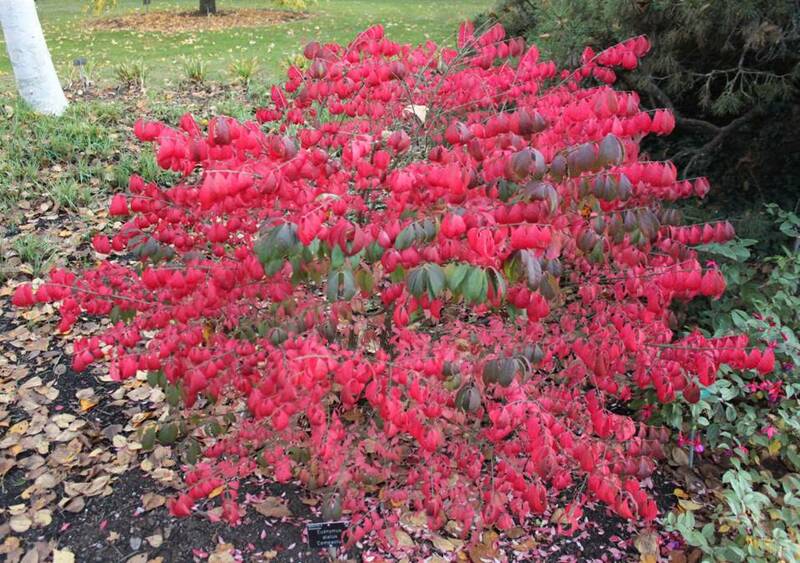 For most of the year Euonymus alatus is a fairly unprepossessing shrub but don’t be fooled. Autumn is when it comes into its own when the oval winged leaves turn from dark green to scarlet presenting you with a wonderful focal point in the garden. 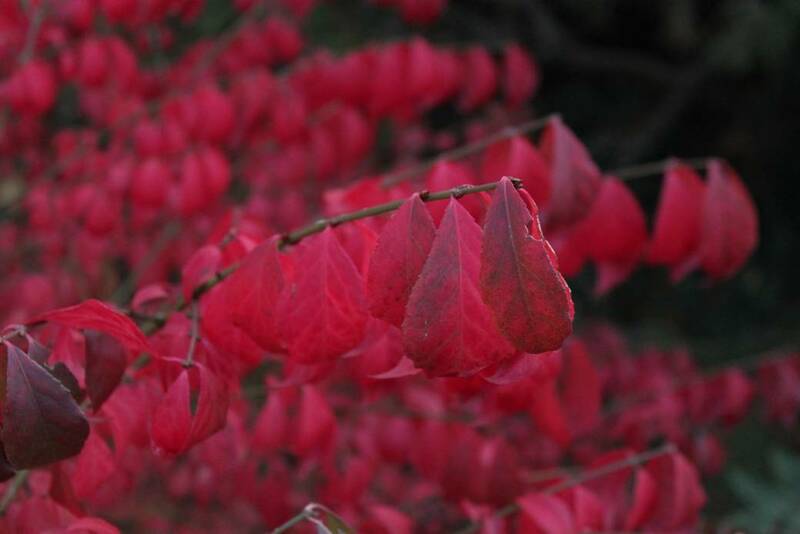 This deciduous shrub can grow up to 1m height and spread up to 3m in width. Of course when it comes to vibrant reds probably the favourite shrib must be the Acer. 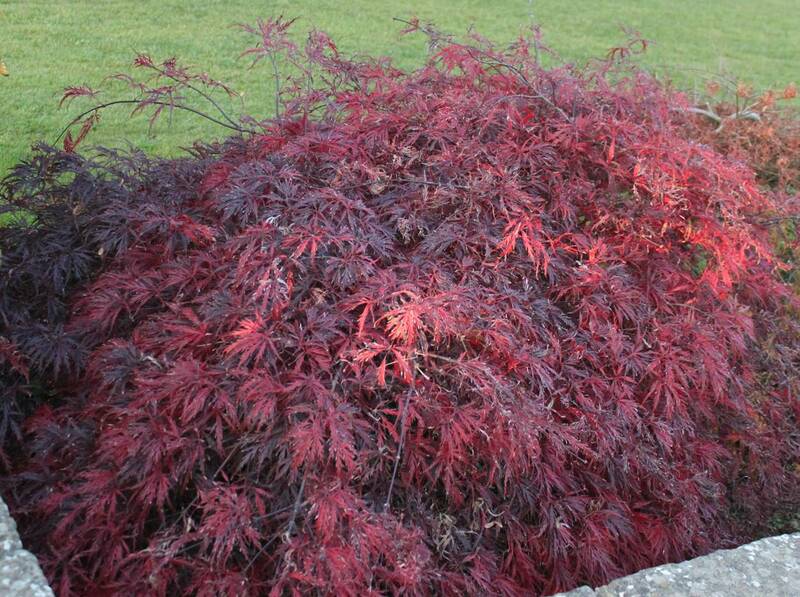 Whether with standard leaves such as the one above or with the the finely cut leaves of Acer palmatum dissectum ‘Atropurpureum’. 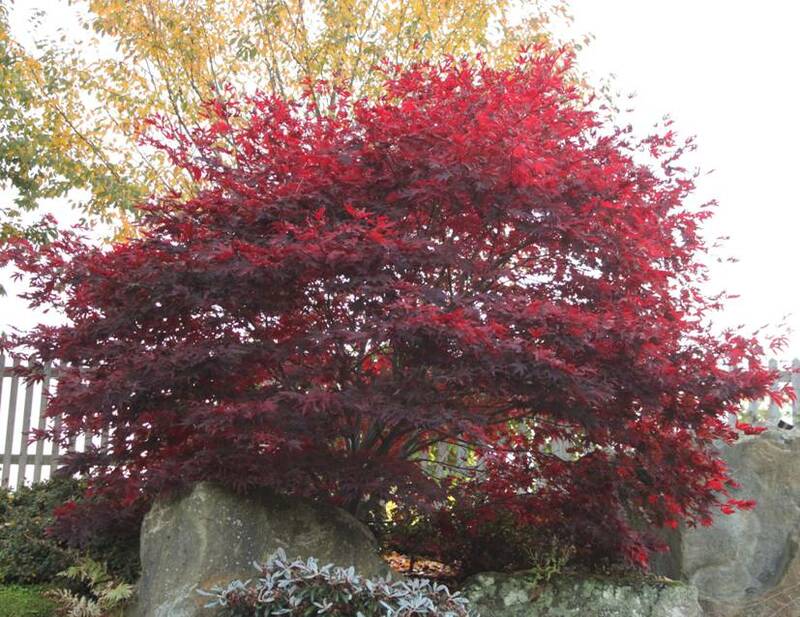 Probably my favourite of all the autumn red Acers has to the wonderful Acer palmatum ‘Osakasuki’. 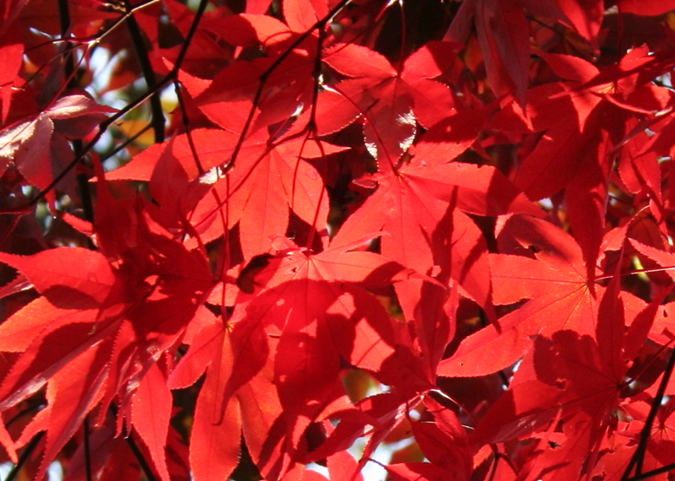 This turns the most fantastic scarlet in the autumn as you can see here. It really is quite startling. Growing up to 3m high, this is a great tree for the average garden. Lastly I should mention the Malus family. 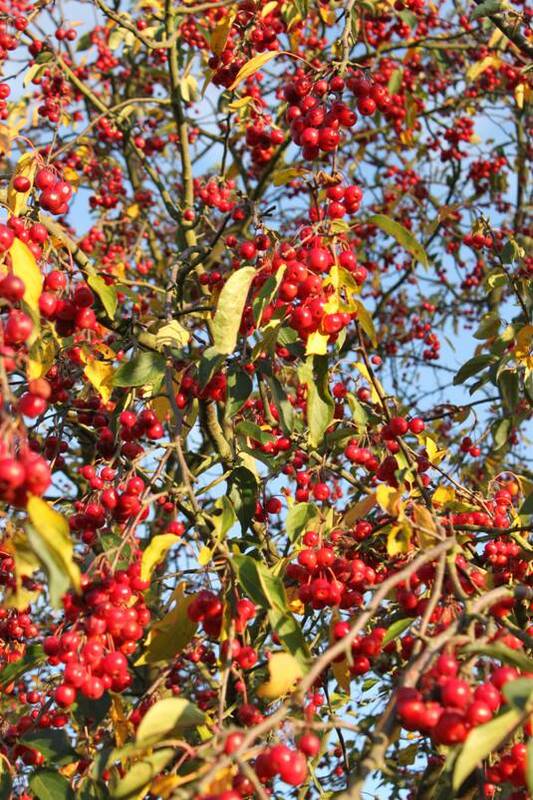 These give you stunning autumn colour but in the case of Malus hupehensis, the profuse fruits bring a great colour to the autumn garden as we ll as a source of food for wildlife. Nature is a wonderful thing isn’t it.